What we’re feeling: Summer romance! Ever had a summer romance you could never forget? Ever find that one person that made your summer the best ever? It feels so nice, it’s hard to stop thinking about. This is what we want to exude with our look this summer! We’re feeling soft, easy fabrics, fun prints and bold colors. A bit romantic and very much carefree is the way we’re dressing for this summer. Sporting our metallic satchel (because it’s still one of our favorites of all times and we can mix and match it with practically anything for any occasion), we’ve been inspired this summer to keep our wardrobe chic and very feminine. Warm and hazy colors brighten up our spirits and keep the mood going all day long! 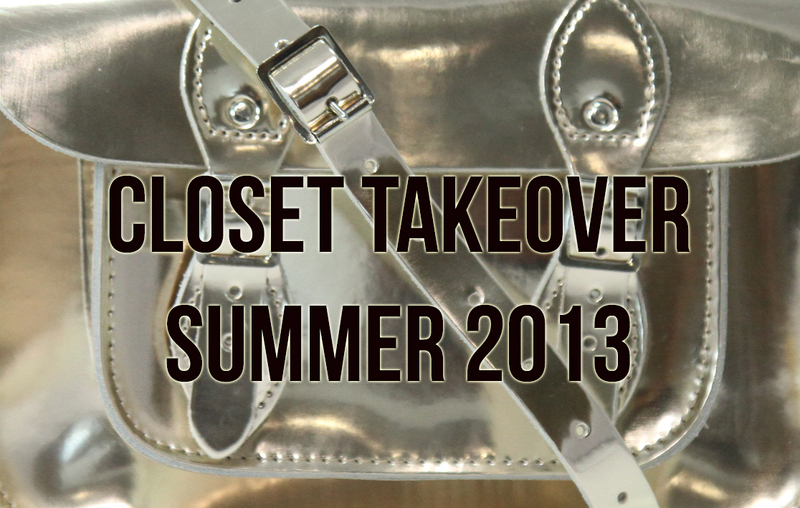 Check out our metallic platinum satchel and grab yours before they’re gone at satchel.co! These are highly coveted and very much limited edition! It should come as no surprise to you that one of the top accessory trends for Summer 2013 is the carefree crossbody bag! It’s the equivalent of a day at the beach, the stroll at the park or window shopping. It’s all about swinging it over your shoulder and out the door you go! For the fashionista with a quick lifestyle, there’s no time to fuss over what bag you’ll wear today with this outfit or what fits in this one or doesn’t. We bet you have all had those moments in front of your closet. Decisions, decisions. In spite of having a hard time choosing and fussing over the daily bag, why not invest in an all-around good bag that, let’s face it, could be easier to incorporate to at least a good 50% of your wardrobe. And if the bag is as stylish as it is functional, who cares about a repeat? We’re just going to throw out there out metallic satchels because hey, what’s cooler than rocking a super shiny handbag all day and all night? Honestly, you’ll be the talk of everyone you pass by. Following the line of the summer cross-body bag, there’s no bigger versatility than going grom day to evening with just the change of a few details. Simply tuck in the strap into the bag for a super chic clutch! If it wasn’t obvious already, it is now: we’re obsessed with versatility and double functionality. Give the satchel a shot for summer too! If it weren’t that amazing, we certainly wouldn’t love it but since it is amazing, we’re head over heels for the perfect carefree crossbody bag for summer: the satchel. Get yours now exlcusively at www.satchel.co before they’re gone! These colorful metallic babies are limited edition!